We are a rapidly growing consulting group collaborating globally to share the knowledge gained from practical experience. BSc in Engineering & an MBA. His 30-year career has primarily been spent in the Operations divisions of manufacturing organizations: General Tire, Mobil Chemical, Lockheed Martin and Timken Aerospace, culminating in the role of VP of Operations for Burlington Medical Supplies. In 2003, after finishing his first book, Robert accepted the role of Lean Consultant for global Architectural & Engineering firm (CH2M HILL). In that role, Robert travelled across three continents teaching and implementing Lean to organizations like BAE Systems, Schlumberger and the US Air Force. As he consulted, he became aware of a disturbing trend: fewer than 15% of Lean transformations sustained beyond three years. He went in search of the root cause. Identifying and training indigenous Continuous Improvement Managers – this is critical to the organization’s ability to sustain long after Getting To Lean leaves. Andreas is an experienced practitioner of mindful leadership and has successfully integrated these practices in his business strategy, leadership and organisation transformation efforts around the Banking and Finance sector in Europe and beyond. At the core of his approach is the practice of Aware Leadership; a set of leadership functions and factors to enrich leadership capabilities. As a thought leader, Andreas has a passion to extend Mindful Leadership into a practically applied method others can learn, apply and benefit from. Andreas served as SVP for Risk and Finance Integration at DVB Bank SE and was with DVB Bank SE from August 1, 2009 until March 31, 2016. At DVB Bank Andreas’s contribution has been to integrate the flood of regulatory requirements into DVB’s finance and risk architecture and processes. He was also leading DVB’s BCBS 239 program. Prior to the assignment at DVB Andreas has held quality management and leadership positions at Electronic Data Systems (EDS) for 14 years. As Lean Six Sigma Black Belt he contributed $9 mn in cost improvements to the EDS Global ITO Transformation. As ITIL certified service manager for EDS he pioneered sustainable and world class quality system DBA infrastructure services. Andreas is the founder and director of Carpe Momentum Advisory, established in April 2016 to offer services for sustainable change and leadership. 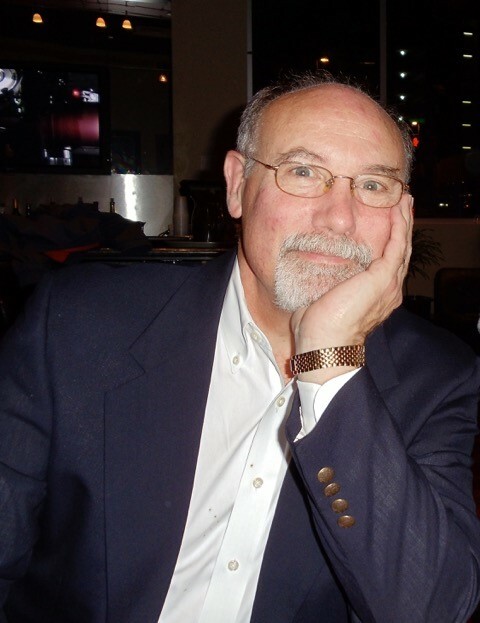 Philip has many years experience training Lean tools and techniques in multiple manufacturing environments, training centers and colleges. Philip established ​Lean Manufacturing and Training Ltd in April 2014 and has since been delivering lean tools in various environments from manufacturing & engineering to NHS, Oil and Gas. Philip has extensive experience. This allowed him to quickly understand the value 'The Dux Method' offers to Change initiatives, and particularly 'Lean' seeing him become an associate. Philip operates LM&T and as a partner to Duxinaroe, working with teams and companies to reduce waste and improve overall efficiency, while embedding brighter futures at a cultural level. 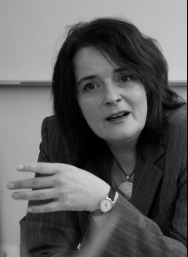 Katharina Kettner is an innovative Consultant and Manager of Organizational Change, designing & implementing effective, sustainable programs for corporate companies, bridging the gaps between strategy & hands-on operation, business & IT, BUs, disciplines & people. As an expert for organizational development, behaviour & communication she worked for companies such as Nokia, Siemens, BP for 12+ years, often in cross cultural M&A processes. In the last 7+ years she provided her experience to the field of IT Change, with a ROI of up to a spectacular 1800%. With a prime view on Strategy and a track record in Project Management with a clear, cooperative leadership style, she is highly capable in all fields of Organizational Culture. An excellent coach and facilitator, she delivered work for international and interdisciplinary projects in Europe, Canada and the USA. Her wide range of experience on all levels of organisation, from top level executive to trainee, and her expertise in Organizational Change promotes a healthy Organizational Culture. Change Management Group (since 2005) gpm-ipma, largest German Project Management Association, Nov 2012. · High Tech & High Touch – Business Intelligence, Culture, Competencies: Improving Decision Making in Organizations, Feb 2012. Katherina is based in Germany, but works globally. Doug has worked with IBM, PepsiCo, BP, Total, Royal Bank of Scotland, the NHS, The Police, The Education department and Local Governments). Doug is a business psychologist. 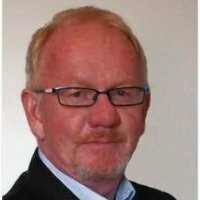 He has designed and delivered global level assignments, working throughout Europe, in the USA, Africa and Australia providing support at Executive and Board level across private sector clients (IBM, PepsiCo, BP, Total, Royal Bank of Scotland) and public (Health, Police, Education, Local Government). A Chartered Psychologist and Chartered Scientist, he was awarded his PhD for research on learning processes. He has published a number of articles on organisation development and coaching. In 2006 he won the Dennis Brown prize from the Tavistock IGA for his work in Group Analytic processes. His major strengths are being highly analytical in terms of business processes, while also being very effective in working with individuals and teams to achieve behavioural change. Doug is based in Scotland, but works globally. Andrew has started a number of successful businesses. The most successful grew to £5m within 2 years, holding national patents. He helped to set up the first and largest management consultancy in Central and Eastern Europe 1989 - 1993. Andrew taught at London Business School and Imperial College School of Management & Helped to start an MBA program in Central Europe. 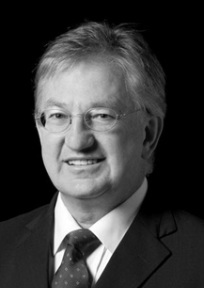 He also started the DBA and Diploma in Management Consulting in Central Europe. He was the Director of Knowledge Management, for ICL Fujitsu in Poland. Andrew trained Ministry officials prior to joining the EU – a project regarded as exemplary & advised the Czech and Romanian governments on foreign investment. He has been a consultant to multinationals in Central & Eastern Europe for marketing development, and he is a director of a Canadian fund manager investing into technology businesses in Central Europe. As project director with a leading multinational client, Andrew set up a factory in Katowice, Poland, manufacturing electronic components and employing 300 people. Andrew resides in Surrey, but works globally.